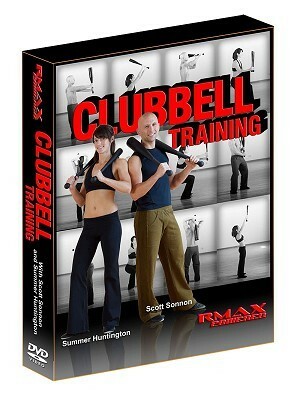 The Encyclopedia of Clubbell® Training culminates over 21,000 hours of real time coaching by the RMAX faculty of everyone from professional athletes looking to gain the performance edge to everyday people looking for a fun, functional fitness. The Encyclopedia of Clubbell® Training is the most comprehensive course ever created involving easy-to-follow, clear-and-simple instructions teaching you the 7 Key Components of each of the core 140 exercises in this powerful system of physical transformation. You can just zip right to the exercise you want to learn and follow along, although you have nearly FOUR AND A HALF HOURS of exercises to choose from! Clubbell® Training provides a unique blend of functional, full-range, three-dimensional muscular development that stands in contradistinction to the problematic limitations of conventional two-dimensional linear training. Following this system will transform your health from head to toe, core to periphery, and bones to skin as you revitalize, re-energize, and reorganize every unused and over-abused cell in your body. Clubbell® Training cascades all of your fitness needs: from strength, power, stamina, endurance and general health and longevity to sport specific programs for golf, tennis, volleyball, football, baseball, soccer and hockey. Clubbell® Training increases one's metabolism for a day-long fat burn, breaks up restrictive adhesions and calcium deposits around the joints, releases bound tension, generates tremendous energy and vitality, increases bone density, and prevents injuries. It’s the most fun that you can possibly have exercising! Come get involved with the first true "health club" in history! Scott Sonnon, the inventor of the Clubbell® and creator of the Circular Strength Training® System, is also a multiple-sport International Champion, multiple-time USA National Martial Arts Team Coach and multiple-time Fitness and Martial Art Hall of Fame Inductee and Nominee.